Aranya Solutions purpose is to enrich the quality of life within targeted economically challenged and developing areas. Aranya Solutions develops systematic changes with a focus on localization serving as a bridge to resources and providing necessary infrastructure. We are currently working in Nepal, Africa and the Rotary Club to support meaningful livelihood to the people in villages in these countries. Additionally, we partner on a number of community-orientated projects, regenerative agriculture programs, and consulting services for organization development. We also provide leadership training to help create the next generation of change makers. We work in partnership with Starhawk, Rotary Club, Abundant Earth Foundation, ICA Nepal, and others as needed! Learn more about these projects and our holistic approach to empower these courageous people. 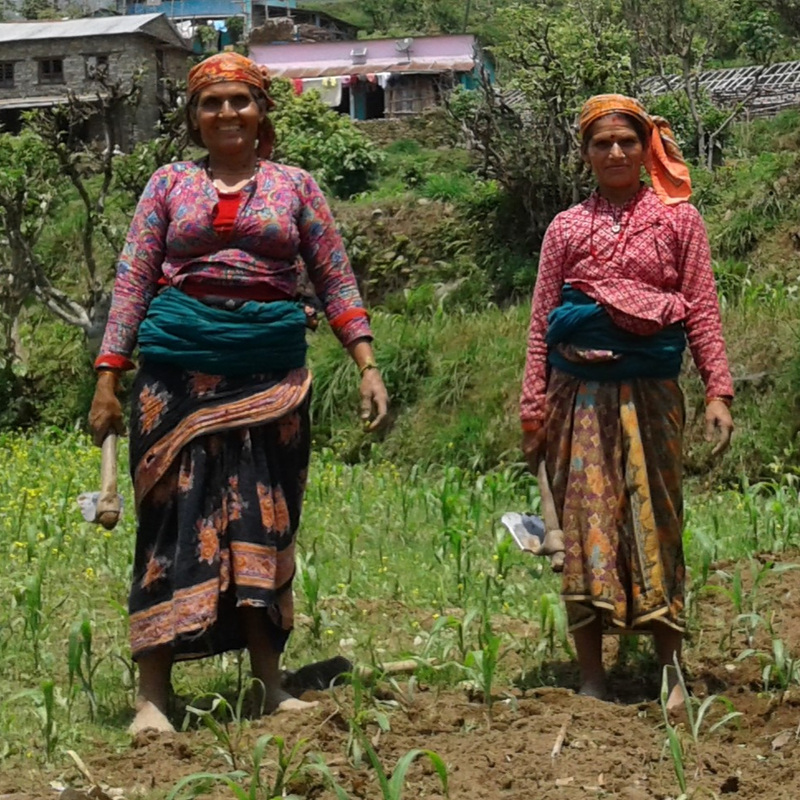 This rural Nepal community in Digam Village in Nuwakot District needs help in rebuilding after the 2015 earthquake. The project purpose is to improve the income level of village people through sustainable agriculture training in Shiitake mushroom farming, Kiwi Farming, Beekeeping and Womens Empowerment. We have partnered with Starhawk in launching a new training program in Regenerative Land Management. This new program is designed to give you the skills, experience and confidence to run a farm, ranch, retreat center or urban farm in ways that heal damaged ecosystems and sequester carbon. The funds go towards Diversity Scholarships to enable youth and leaders from frontline communities to gain the skills and experience to redress climate change and forge career paths in growing food, community, and healthy rural and urban ecosystems. ** Our goal is to raise $5,000+ for Diversity Scholarships! ** Help us reach this goal!! Many school kids in Eastern Uganda frequently do not eat breakfast or lunch. This project will provide solar cookers to prepare student lunches, and desks & books that are in dire need. With food in their bellies, kids will be better able to concentrate and learn. Our focus is to empower leaders to come forward with renewed confidence in their capacity to make a positive change in their community, organizations and life. We work with communities, organizations, teams of all flavors around the world! Including coaching, organization development, strategic planning and facilitating meetings or retreats. Aranya Solutions acts as a pollinator to create an ecosystem of people, organizations and resources towards positive change. Follow us on Facebook (and other platforms) to stay up to date of all the activity on the ground. Our goal is to bring cohesion to the movement of movements and strengthen the impact that we all can have. And that includes you!